I've been working hard in the garden the past couple weeks and yesterday I just slapped up my pictures for Vee's Notecard Party and called it good. I may have to slow down my blogging for a while due to loads of yard work and jobs in general that need to be done around this house. I do want to share my new little cupcake painting that I finished yesterday and listed on eBay. 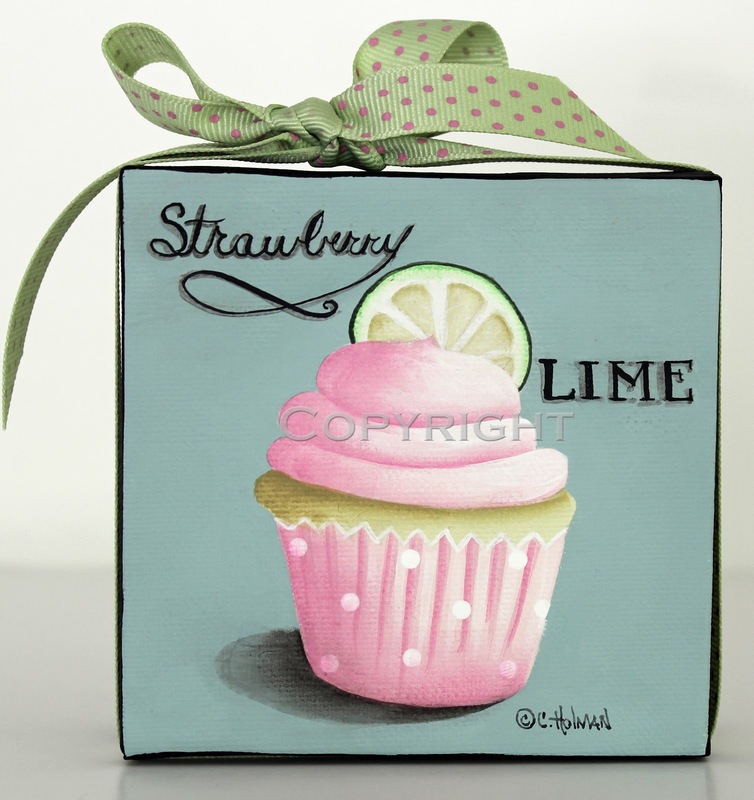 A cupcake flavored with a hint of lime is piped with creamy strawberry frosting. This summery treat is topped with a slice of lime and dressed in a white and pink dotted liner. I'm having pain in my neck that radiates down my shoulder and arm everytime I sit at the computer. Anyone had this problem before? I think it's from wearing trifocals and having to tip my head back to read. I may have to figure out a way to lower my desk. Oh, the joys of aging. I love your new cupcake and yes...I've had pain in my arms and shoulders. I am using a netbook now in my lap and that seems to really be relaxing! Yes, I have pains here and there all the time. So I can't stay at the computer all the time. I allow myself 15 minutes on and then I've got to get moving again. It cycles around that way until I finish reading my list. I love to visit. You just can't go wrong with a pretty pink and green combination. So summery and fresh looking. Have fun with your garden and never worry about whether you're here or there. Do what you love. What a delicious sounding cupcake! Same problem here; too much to do with and age slowing down thet progress! 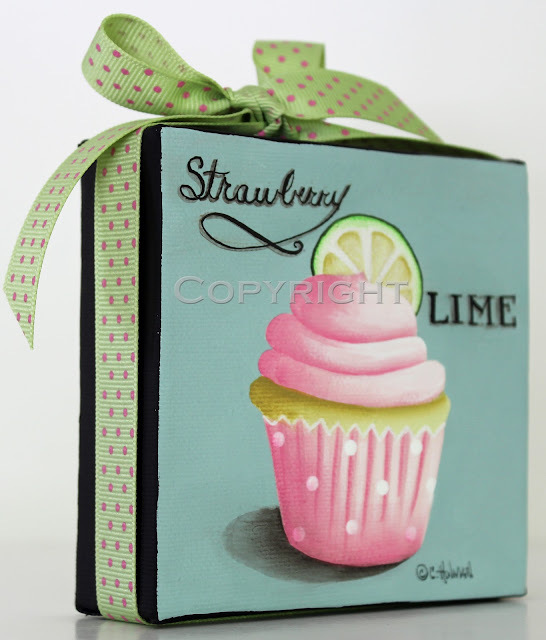 Love this sweet cupcake...so summery and light looking, very yummy. I have not had that exact pain but have hurt my right wrist before while I slept (believe it or not) . Anyway, I had to wear a brace on that wrist for a while when I was asleep at night...eventually got better. I wish you luck with your pain, feel better.